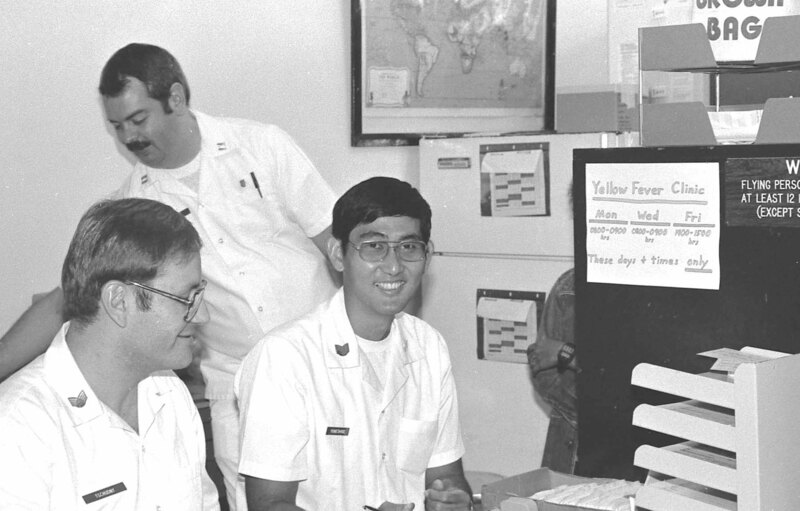 This photograph show then-SSgt Alan Yoneshige of the then-154th USAF Clinic. It was taken during the unit’s 1982 deployment to Clark AB, Philippines. The other Airmen in the photograph are Air Force members. A Traditional Guardmember, Alan served his entire Guard career in the medical unit until his retirement in February 2011. Alan continues his civilian career with Adventist Health Castle. Alan is the organizer of the annual medical unit reunion luncheons. The luncheon is always a great reunion of retired unit members. Retiree News uses “medical unit” in most posts because the unit has had several organizational names over its history. We are gathering information for a future post about the medical unit’s name history.